We offer breakfast based on your schedule. Every other day of your life you have to arise to a work schedule or list of things to do. This is your time away and we want to serve you. Breakfast is also your choice of place, either in suite or in our lovely formal dining spaces. Typically it is tables of two, but if guests are dining at the same time and ask to be seated together, we can accommodate that as well. We opted to outfit our second inn with a full commercial kitchen as guests so often were doing pizza and ordering in as once they settled in, they didn't want to leave. So we are one of the few Bed and Breakfasts offering both breakfast and optional dinner. No clanging of dishes or hustling for guests to see, our kitchen is purposely in the basement. Because of guest preference, we have wood burning fireplaces viewable from bed or double whirlpool. Because guests commented on how nice it is to have massage at the inn, we have contracted to have a remarkable team of massage therapists from Caring Hands just three blocks from the inn accommodate. We offer quality accommodations at fair prices. We want guests to come back and to tell their friends about us. There is no limit to the number of logs you burn, or the number of cookies or ice cream you consume. There is no one here to set an example for or rules about spoiling your supper. Also our breakfasts are not skimpy. One guest calls them "breakfeasts"! We continue to add packages and specials to make our pricing even more fair and opportunities even more fun. We treat our guests with respect. We provide congenial, professional and courteous service at all times without sales pressure. 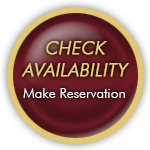 We believe you should reserve here only if you feel it fits. There may be other fine accommodations that fit you better and we are happy to refer you to them. In fact we have many friends in the industry and are happy to share what we know about the industry. (We have long been supportive and dedicated to the Minnesota B & B Association and always happy to share anything about the industry with prospective innkeepers or news about up and coming Bed and Breakfasts) In our business it is not about competition, it is about cooperation and camaraderie and about making guests happy. We have a friendly helpful staff that understand our philosophies and are here to do whatever it takes to make your stay special. Just ask them if they like working here and we think some of their exuberance is because of you! As we have often said people who choose Bed and Breakfasts are a unique special breed. They have a spirit of adventure, a respect for preservation, and mostly they know time away is necessary and good for you. We want to build long-term, mutually beneficial relationships with our guests. Our success depends not on a continuous flow of one-time stays, but rather on a guest base of repeat customers. Most of our anniversary and birthday celebrations have become traditions here.